If you listen to conventional wisdom, says Rutgers University–Camden researcher Daniel Hart, one would assume that, growing up in a troubled political system – where effective governance is undermined by political polarization – young people are predestined to become disillusioned and tune out. What’s more, you’ll hear, there isn’t much that can be done to change that. Hart and Youniss posit that, first and foremost, youth aren’t just idle, disaffected bystanders, but rather hold the key to solving the problems of contemporary American society. Well, not so fast, says the professor of childhood studies and psychology at Rutgers–Camden. “This myopic view fails to consider that youth can transform the system and do not passively internalize it,” says Hart, who serves as faculty director of the Institute for Effective Education at Rutgers–Camden. 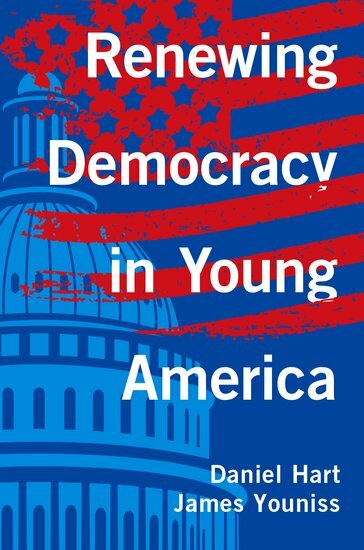 Hart and co-author James Youniss, the James R. and Wylma R. Curtin Professor of Psychology at The Catholic University of America, chart the course for engaging the next generation of capable, civically responsible youth in their eye-opening new book Renewing Democracy in Young America (Oxford University Press, 2018). The researchers posit that, first and foremost, youth aren’t just idle, disaffected bystanders, but rather hold the key to solving the problems of contemporary American society. Rather than “magically” waiting to elect more effective leaders, they maintain, more capable citizens are required – and we need to look no further than today’s youth to find them. “We argue that, if we want better citizens, then we must give young people the opportunities that they need to be get involved and succeed,” says Hart. The Rutgers–Camden researcher points to the recent mobilization of survivors of the Marjory Stoneman Douglas High School shooting in Parkland, Fla., as a vivid example of the powerful advocacy that arises when youth come together around a common cause. “Throughout American history, young people have energized social and political change, and the Parkland youth remind us that we are best served by recruiting them to civic life,” says Hart. Hart and Youniss note that youth exhibit the wide range of skill sets, cultural perspectives, and educational experiences that prepare them to contribute to society. In addition, they argue, there is much evidence showing that today’s youth, including those from ethnic minority and low-wealth populations, are open to new learning opportunities that have lasting positive benefits. “In taking all of this data into account, we conclude that cultivating better citizens is a very attainable goal,” says Hart. In order to effect change, the researchers argue, it begins by making a change. They explain that the current methods used in schools to inculcate civic knowledge are ineffective, requiring clearer goals to be set and new strategies to be employed. Civic education, they posit, requires much more than transferring knowledge; it demands opportunities that encourage youth to get involved. The researchers propose that youth can be transformed from informed voters to concerned and active citizens through science-based, civic oriented, environmental engagement. Hart notes that getting involved in solving environmental issues on a local level doesn’t require a particular expertise or official capacity, and is well within young people’s abilities. Among other ideas proposed by the authors, they explore the benefits of lowering the voting age for municipal elections to age 16. Hart and Youniss present new research indicating that 16- and 17-year-olds have the requisite qualities—civic knowledge, attitudes, and participation—necessary to vote responsibly, and that allowing young people to vote in municipal elections will deepen commitment to democracy. “TRUMP ALTERS ELECTORAL COLLEGE DEBATE IN STATES” This blog post about the history and current status of the U.S. electoral college quotes Andrew Shankman (professor, FASC-history). “RUTGERS-CAMDEN PROFESSOR RECEIVES $1M AWARD FOR SCIENTISTS, ENGINEERS” Jinglin Fu (associate professor, FASC-chemistry) received the Early Career Award for Scientists and Engineers (ECASE-Army) from the Army Research Office. “CAN AN ALGORITHM REPLACE ANIMAL TESTING FOR CHEMICALS?” Daniel Russo, a doctoral candidate at the Rutgers University–Camden Center for Computational and Integrative Biology, is lead author and Hao Zhu (associate professor, FASC-chemistry) is co-author on a study investigating an algorithm with the potential to cut back on the use of animals in chemical toxicity testing. “FACEBOOK’S DATA-SHARING PRACTICES ARE CALLED INTO QUESTION, AGAIN” Michael Carrier (distinguished professor, RLAW) is quoted about antitrust issues surrounding Facebook’s data sharing. “RUTGERS-CAMDEN TO HOST ‘EARTH BALL’-MAKING DEMONSTRATION IN CELEBRATION OF EARTH DAY” The campus community and members of the public are invited to learn how they can help encourage pollinator-friendly wildflower growth as part of the citywide Camden Colorfield Project. 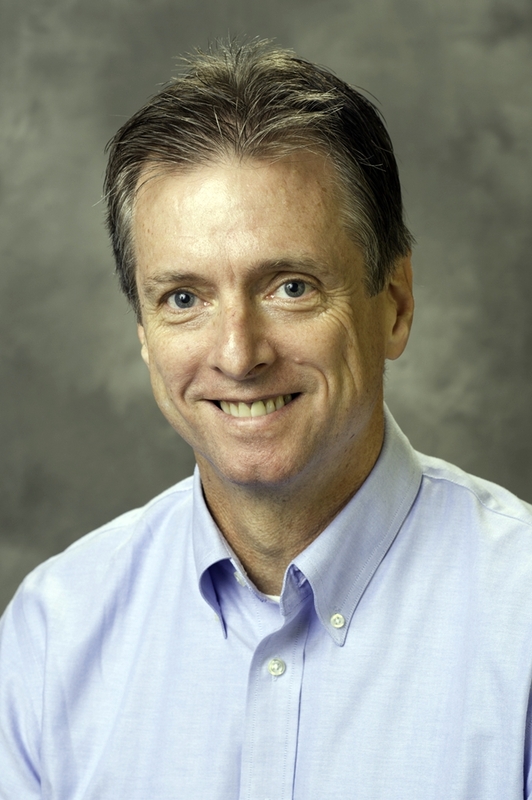 “COULD SWEENEY’S PLAN FOR CONSOLIDATION INCREASE SCHOOL BOARD CANDIDACY?” Michael Hayes (assistant professor, FASC-public policy and administration) shares insight about N.J. Senate President Steve Sweeney’s proposal to consolidate school districts in the state. With experts in a variety of topics, the Rutgers–Camden Faculty Experts Guide can help members of the media find the right faculty expert for your publication or program. © 2019 Rutgers-Camden Campus News.